Vacuum Cleaning & Repair Services in Plano, TX | All Vac Inc. Since 1937, customers have come to rely on All Vac, Inc. for the very best in vacuum cleaner repairs and service. From central vacuum system installations to vacuum parts and repairs, we are your go-to professionals for all your vacuum needs. 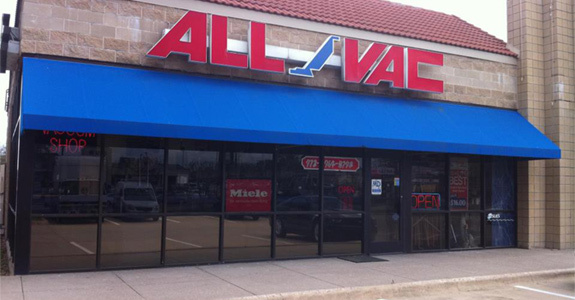 When you need quality repairs and service for your vacuum cleaner in Plano, TX, call the experts at All Vac, Inc. For almost 80 years, we have provided Texas customers with a wide range of services, from selling new vacuums to replacing worn or broken vacuum parts. Our years of experience have brought us a level of expertise unmatched by our competitors. Customers looking for a vacuum in Plano, TX, will do right by visiting our store where we can discuss their individual needs and match the best equipment for the job. It isn’t our goal to sell you the most expensive vacuum; only the one that will do the job right for you. We offer a wide assortment of quality vacuum cleaners for sale. We are able to service and repair any type of vacuum. We can install both central vacuum and hide-a-hose vacuum systems. April 10, 2017 Rob W.
"I came here after a work colleague recommended them. I walked in with a Dyson vacuum that needed troubleshooting. I walked out in less than ..."